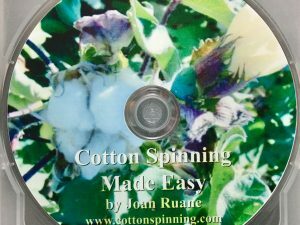 Spin cotton with a brass, Indian-style takli, Easy-Spin Australian cotton sliver and expert tuition from master cotton spinner and teacher, Joan Ruane. 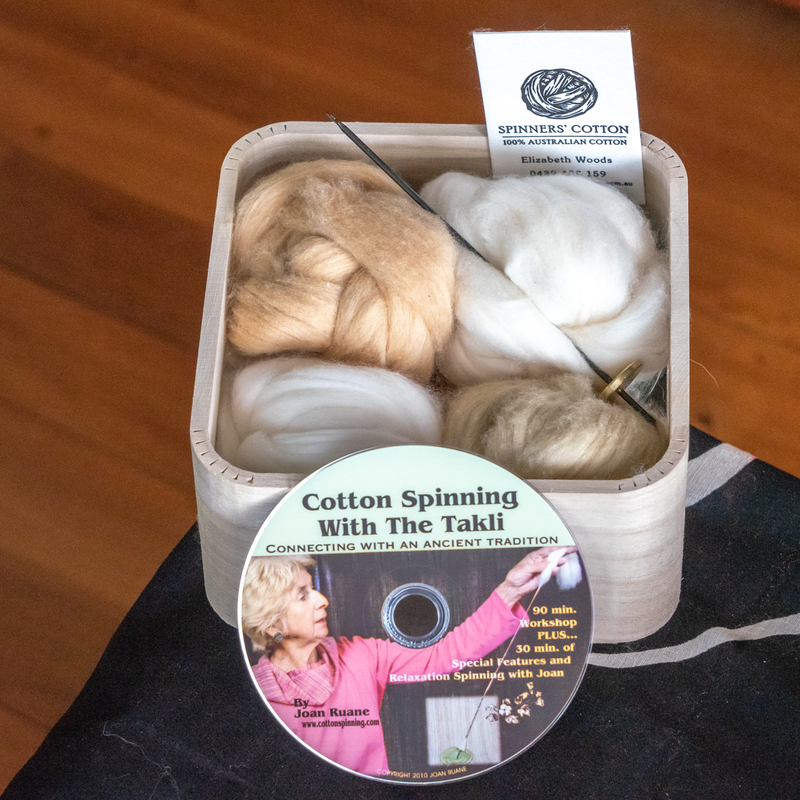 This very popular kit presented in a timber tray contains an Indian-style takli with brass whorl, support bowl, samples of four varieties of Easy-Spin Australian cotton sliver: Upland, Pima, natural brown and natural green, a written guide for spinning with a takli and Joan Ruane’s instructional DVD, Cotton Spinning with the Takli. 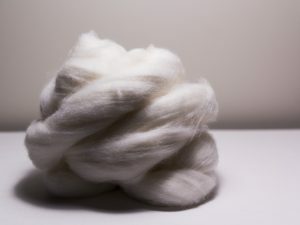 Spinners’ Cotton sliver is grown by local farming families and processed in Australia. 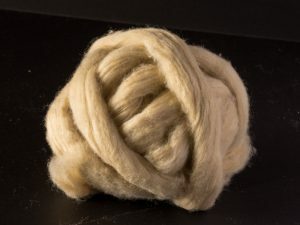 It is prepared specifically for hand-spinning. 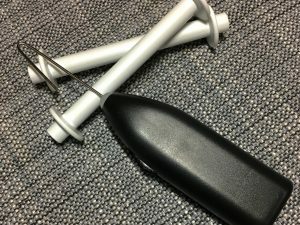 Spinners’ Cotton sliver is ready and easy to spin.